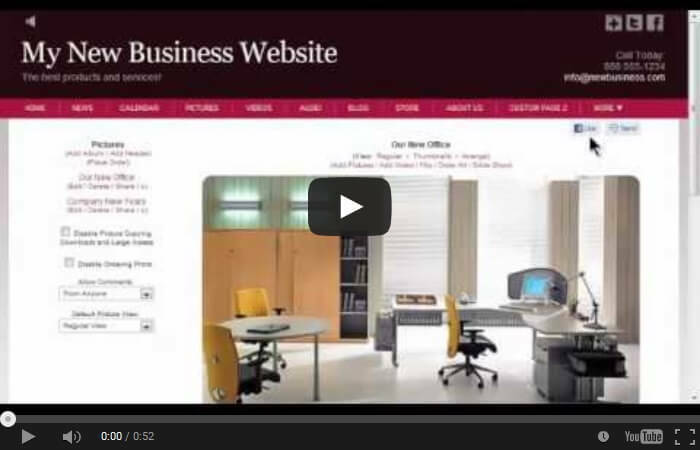 Welcome to our video tutorials part 2 on how to set-up and make your very own website. Want to see more videos? Then visit video tutorials part 1 here. My name is Steve Sivulka and I am the owner of Easysite.com - The video tutorials on this page will help you have a better understanding of how to set up your site. Please watch them and if you require any addional help feel free to email me steve@easysite.com. VIDEO 11 - If you would like to customize your home page and not sure where to start watch the above Easysite video that will show you how to customize your home page. 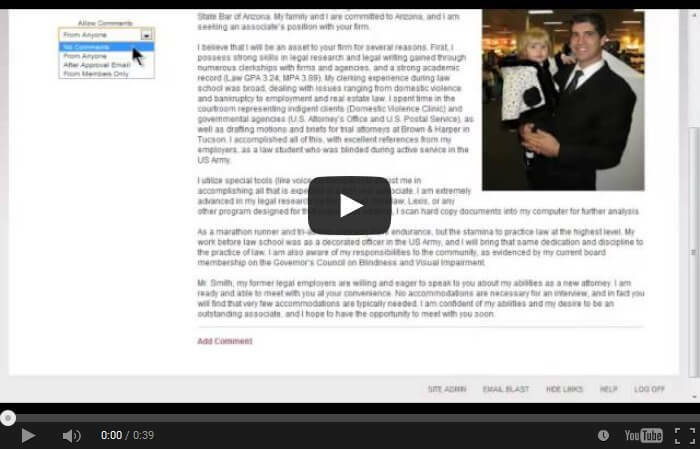 VIDEO 12 - Members of your website can post items and access members only pages. Followers of your website only receive email notifications or email blasts. Followers can not login or post items and can not see members only pages, find out more by watching the above video tutorial. 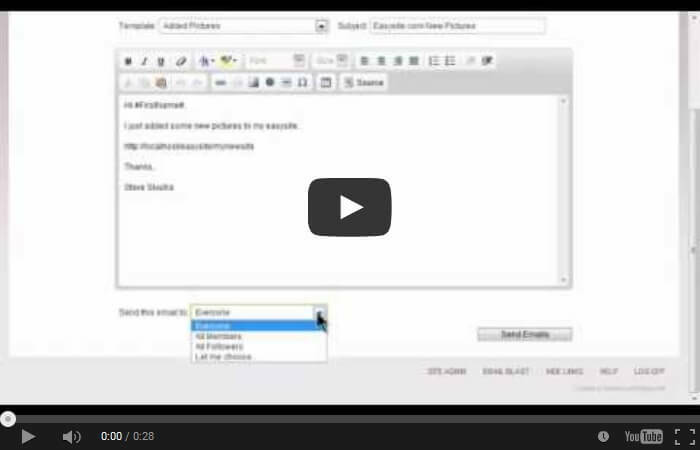 VIDEO 13 - Its easy to create an email list when using Easysite.com. To create and email list, start by going to the site admin page. Email lists are used to group your your members and followers, watch the above video to find out more on setting up your email list. 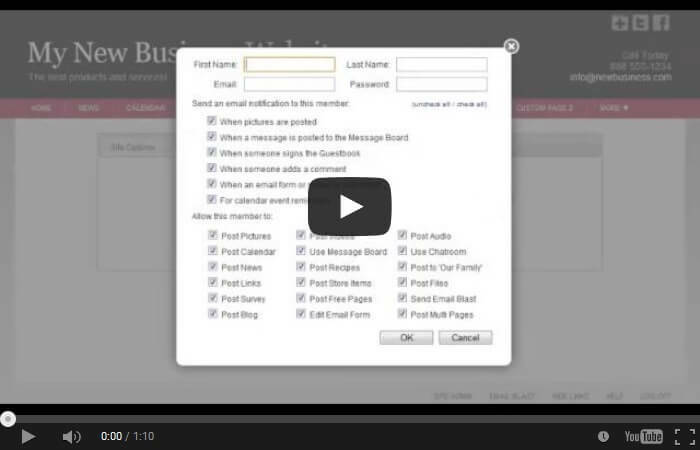 VIDEO 14 - The email blast page can be used to send a message out to members and followers of your site. Choose a template, type your message and send its that easy. VIDEO 15 - You have just made a new post and want all your members and followers to read it. No problem your Easysite website has a share button, watch the video above to see how it all works. 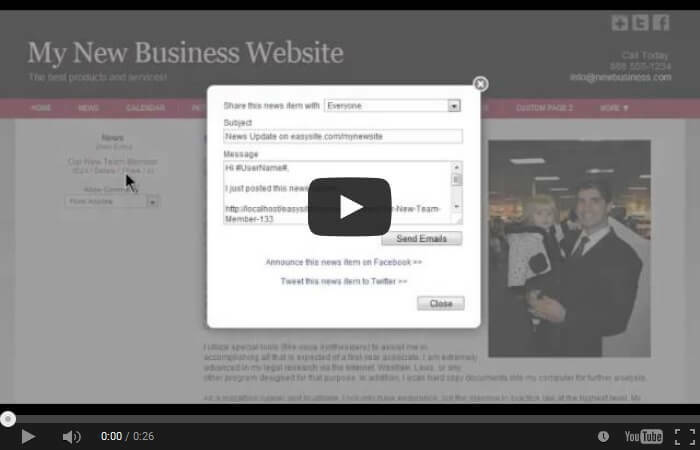 VIDEO 16 - You can allow visitors to have there say by letting them comment on pages and posts. Or you can switch comments off, watch the video tutorial above to find out more. 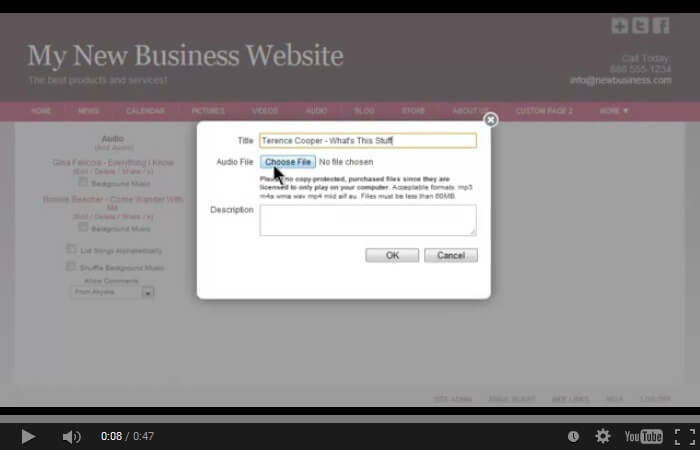 VIDEO 17 - If you would like to have background music on your site you can. Navigate to the audio page and click add audio, watch the above video tutorial to see what to do next. VIDEO 18 - The editor does all the coding for you. This means that if you can type a few sentences, you can create your own website using Easysite. 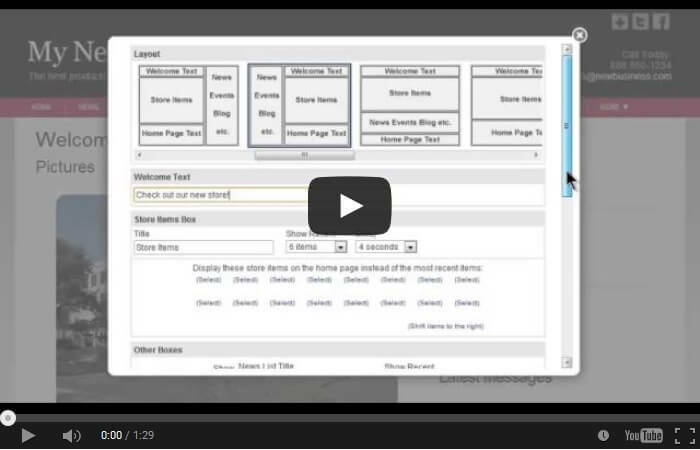 Watch the video above and see how easy our web editor is to use. 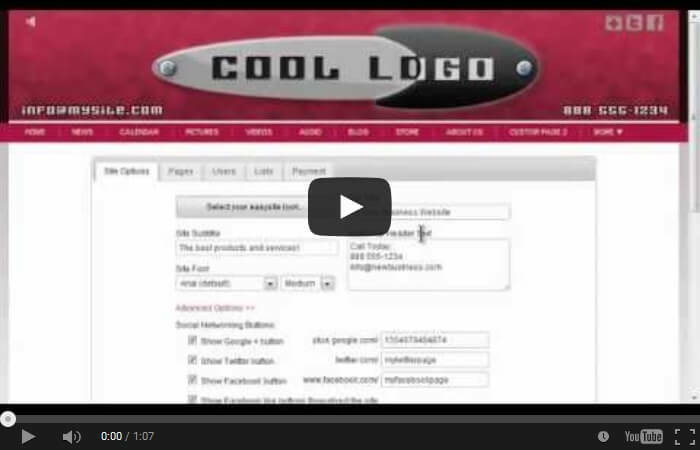 VIDEO 19 - Its real easy to integrate your social networking sites when you build a website with Easyiste. All you have to do is copy and paste your social links in the box provided for the social links and thats it - watch above. 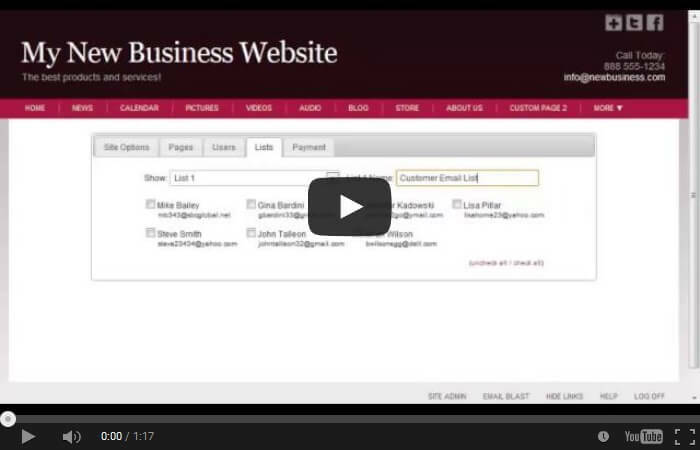 VIDEO 20 - Learn how to create a custom header on your website.